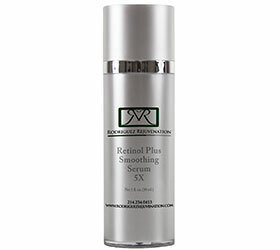 Tightens skin with retinol. Brightens skin with anti-oxidants of green tea and white tea. Lightens skin with microsifted bamboo and clay based to deep pore exfoliation specially formulated to deliver soothing wave of cleansing heat as it gently removes dry ,dead skin cells, excess oils and residue to reveal healthier skin. 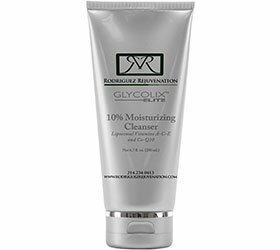 Creamy, moisturizing glycolix 10% cleanser gently exfoliates, cleanses and brightens skin, revealing a smooth healthy radiant skin complexion. Contains a rich blend of antioxidants including vitamins A, C, E, Green Tea and CoQ10 .Formulated with ultra-pure crystalline glycolix acid with pH of 4.0. Great as part of a Keratosis Pilaris regimen. 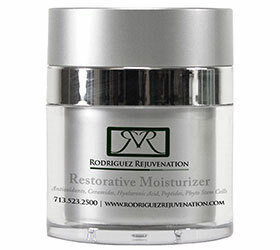 Restorative Bio-Therapy is a moisture-boosting, decadently rich cream that nourishes dry skin back to optimum health. This product is ceramide-enriched to restore skin barrier function. It leaves skin looking supple, firm, and soft. 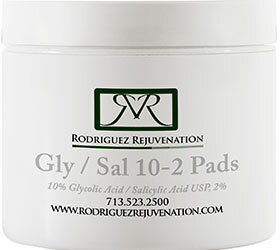 It improves skin hydration and soothes dry skin, reduces the appearance of fine lines and wrinkles in mature skin, promotes healthy skin, and it enhances retinoid therapy. Eye Serum provides ultimate moisturization benefits to the delicate and often dry eye area with its hyaluronic acid-enriched formula. 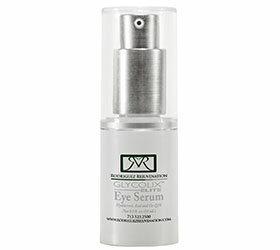 This nourishing serum delivers superior hydrating benefits to soothe, smooth and plump the eye area. Contains Vitamins A, C, E, CoQ10 and Green Tea Extract. All-trans-Retinol eye Repair Cream .Great for use on cuticles also. Antioxidant Sunscreen Moisturizer has been specially formulated with Micronized Zinc Oxide and other sunscreen ingredients to provide the highest level of broad-spectrum UVA and UVB protection. This product blocks most UV radiation from interacting with the skin and is designed to minimize the effect of the UV that does interact by neutralizing and quenching damaging UV-induced free radicals. Soothe, calm and rejuvenate skin with this refreshing mist fortified with a rich blend of antioxidants to brighten dull, tired skin and refine your complexion. 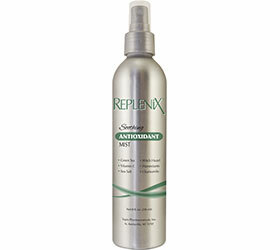 The micronutrients help enhance skin tone and neutralize impurities while powerful humectants provide gentle hydration. Ideal for all skin types including sensitive and post-procedure. 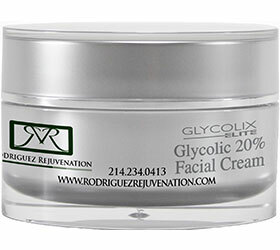 Facial Cream, available in 10%, 15%, and 20% strengths, uses the rich pairing of ultra-pure crystalline glycolic acid and antioxidants to exfoliate and smooth the skin. A perfect complement to skin lightening therapy. 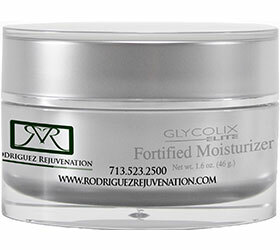 Non-Glycolic formula supports Glycolic acid with added hydration. This Fortified Moisturizer is fortified with yucca glauca root extract, ceramides, vitamins A,C, E, and nourishing antioxidants to deliver smoother, softer skin. 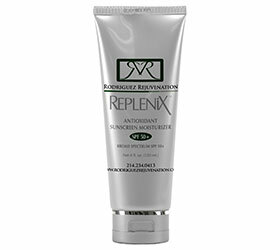 Replenix® All-trans-Retinol Smoothing Serum assists in the achievement of softer, smoother, firmer and more evenly toned skin. It helps achieve more radiant looking skin while delivering the skin enhancing benefits of Green Tea Polyphenols and Caffeine USP in a moisturizing base. This product is for facial use only and increases firmness & elasticity, it minimizes signs of aging and reduces the appearance of wrinkles, fine lines, redness & pore size. 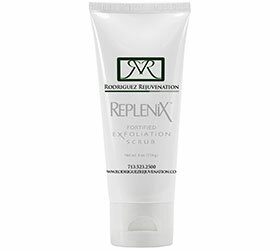 This product enhances tone & texture , revitalizes & nourishes and restores moisture of your skin. This product contains bamboo stem extract, green & white tea extract, vitamins A,C,E. It is clay base and holds on to energy, when combined with water it releases that energy in the form of heat (as an exothermic reaction). The micro sifted bamboo acts as the scrubbing element. Medical grade silicone. Faster drying than any other silicone gels. 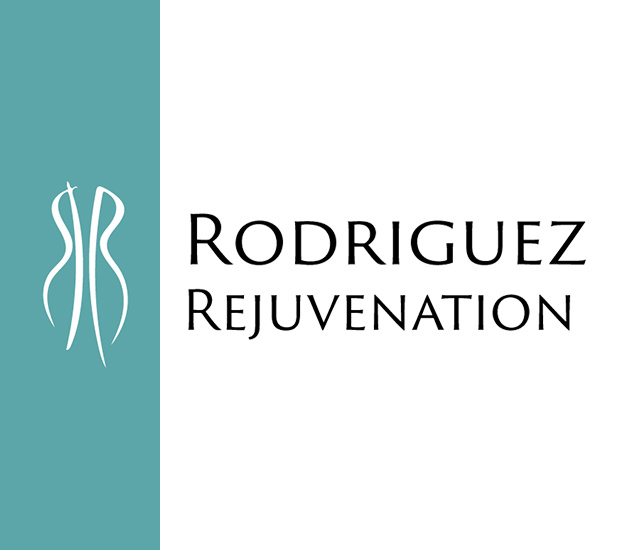 Prevents excessive or unaesthetic scars after surgery or laser treatment. Improves the appearance of older hypertrophic scars or keloids. This redefining body treatment features ALL-trans Retinol at the maximum level safe and appropriate for the body. This lotion supports the skins barrier function, promoting a collagen-rich appearance while helping to visibly reduce fine lines and wrinkles, and improving skin texture and tone. PWR3t Antioxidant complex (Leontopodium alpinum, green tea polyphenols, resveratrol, caffeine usp) helps lift skin to address sagging while powerful antioxidants calm, soothe, and protect from free radical damage. Hyaluronic acid and ceramides deeply hydrate and nourish skin.